Dinner: Pick up the divine Beggar’s Chicken at Shanghai Pavillion. And a Movie: AMC Loews—72nd St.
Dinner: If it’s any testament, the former president of China personally requested delivery from O-I-Shi-I Sushi at Ivy’s Café when he last came to New York. The Ivy’s Café half of the restaurant serves Chinese, while the other side offers Japanese and Thai specialties. And a Movie: AMC Lincoln Square 13. Dinner: Sure it isn’t Chinese, but Q2 Thai will be serving up their delicious drunken noodles and other Thai specialties on Christmas. 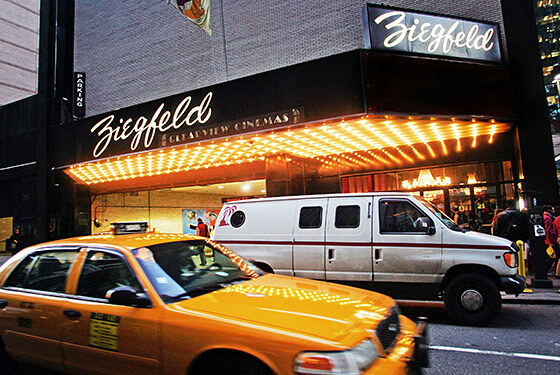 And a Movie: The Ziegfeld Theatre. Dinner: Hailed chef Joe Ng at Chinatown Brasserie will be serving up dim sum on the 25th. And a Movie: Angelika Film Center. Dinner: Congee Village provides classic mainstream Chinese food and karaoke to boot. And a Movie: Sunshine Cinema. Dinner: Liberty View has surprisingly authentic Chinese dishes for a non-Chinatown place, and the white tablecloths make it a great spot to bring the parents. And a Movie: Battery Park Stadium 11. Dinner: Vegetarian Palate has plenty of surprisingly delicious tofu substitutes for meat (faux eel?) for your vegetarian and vegan relatives, but if you’re in the market for some bona fide beef, look elsewhere. And a Movie: BAM Rose Cinemas. Dinner: Unfortunately, fancy Chinese spot Eton will be closed, but just up Smith Street Chance will be serving up its unique fusion of French and Chinese cuisine. And a Movie: Cobble Hill Cinemas. Dinner: If you’re looking for something more than run-of-the-mill take-out, try Grand Sichuan House. In addition to the classics, they serve more exotic items like tongue, jellyfish, and tripe. And a Movie: Bay Ridge Alpine Cinemas.